Here is another layout as GD this month for CSI along with 2 Crafty who is sponsoring them. As evidence I used art mediums, architectural accents and I tied a bow to the tag hidden behind the photo. As testimony I hand wrote on my journaling tag. 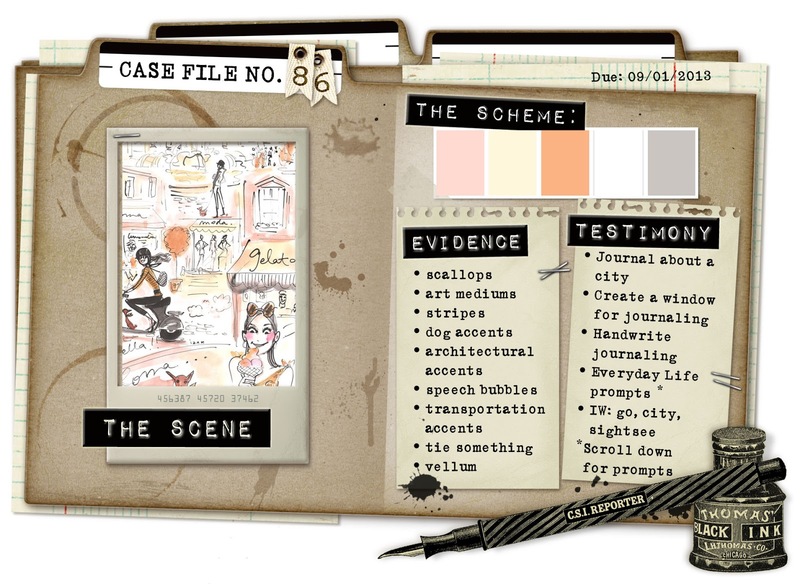 The journaling is very personal but its very much related to the title. It is a message to my future self and to my children to always remember to follow your dreams. I used lots of 2 Crafty chipboards on this page. To frame my photo, I used the Frame 2 Etched. After priming it with Gesso, I painted it peach colour acrylic paint. While paint was still wet, I sprinkled clear embossing powder on it and melted it with a heat gun. Then I stamped it in brown archival ink with swirl pattern. On the picture above, you can see a little 2 Crafty Twiggy nest with eggs. I painted the eggs in cream acrylic paint and the nest I dabbed with Dry Sand Fluid chalk edger from Prima. For the title, I used two words from the Friendship mini word pack. I painted them in cream acrylic ink. 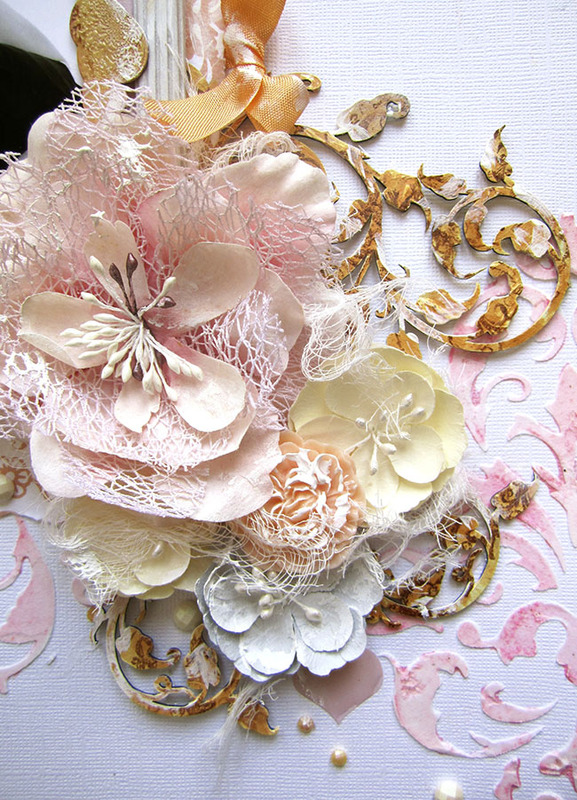 Finally, I used the Flourish adornment set 3 which I also painted in peach coloured paint and stamped with brown archival ink. I hope you try out the challenge at CSI this week!!! Sooooooooo beautiful!! LOVING the flowers and that pillar!!! wow…. Very beautiful your page! So gorgeous Keren! Love the stencil work!!! A great portrait. Love the interwoven elements. 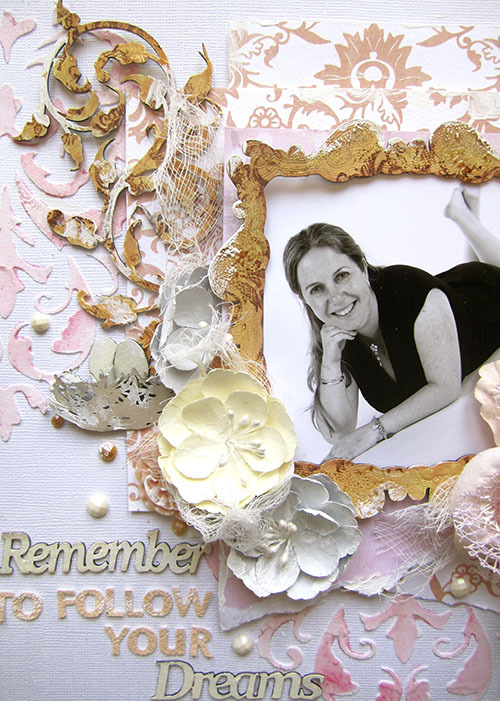 Gorgeous layout, love the color on the masking, love the flowers and that is a great photo of you too!! Fantastic effects on the chippies, stunning design! So gorgeous Keren! Love the stencil work! This is a stunner, Keren – wonderful use of the palette and all the detailing is delicious… that little architectural column, beautiful frame round the photo, lovely layers with the cheesecloth and a fabulous finish on the chipboard elements. Sooooo pretty! 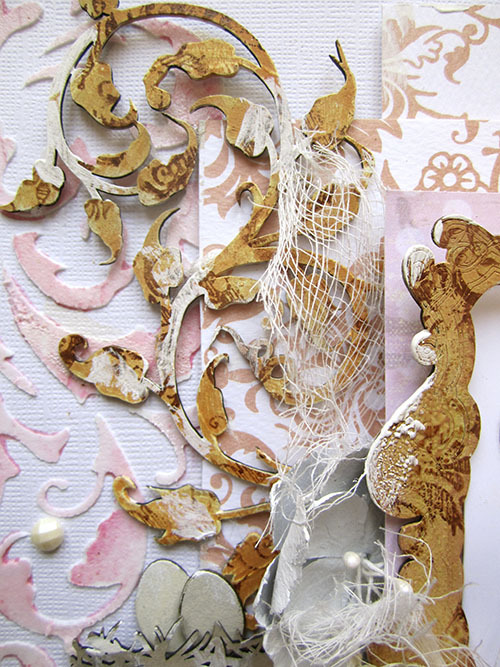 Love how you jazzed up the chipboard!